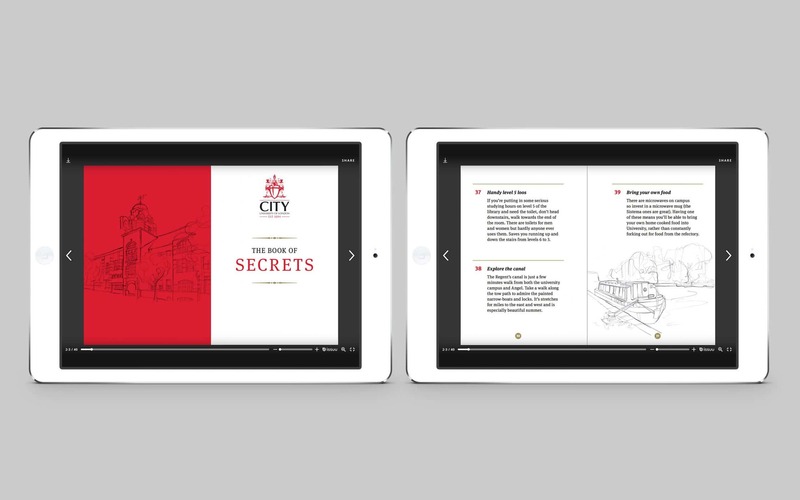 A content-driven campaign to enrich the lives of new City undergraduates. A-level results day is a busy time for universities. 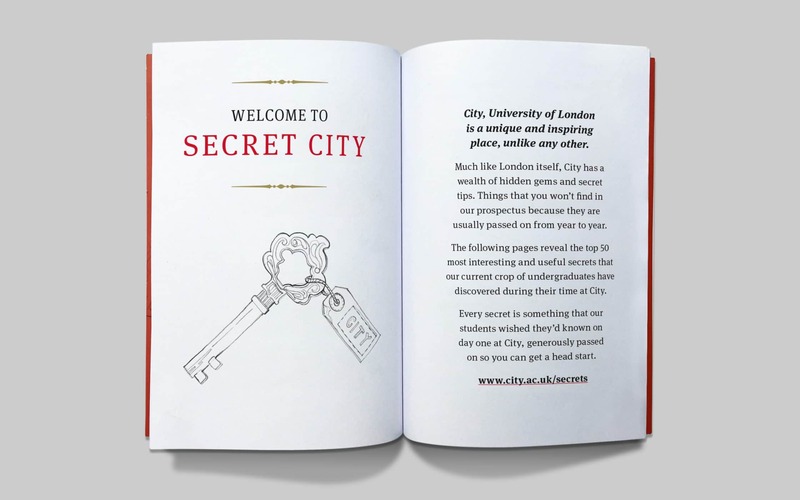 City University is no exception to the rule, as it looks to welcome the latest crop of undergraduates. However, as competition for places increases year-on-year, HEI’s throughout the land are having to develop innovative ways to convert applicants, and develop relationships long before freshers week. 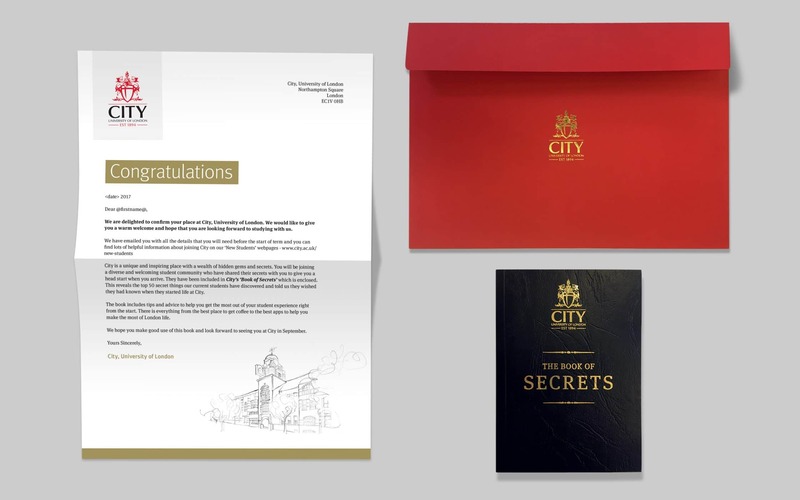 To meet this need, City was seeking to create a traditional direct mail piece to make prospective students feel good about their university offer. 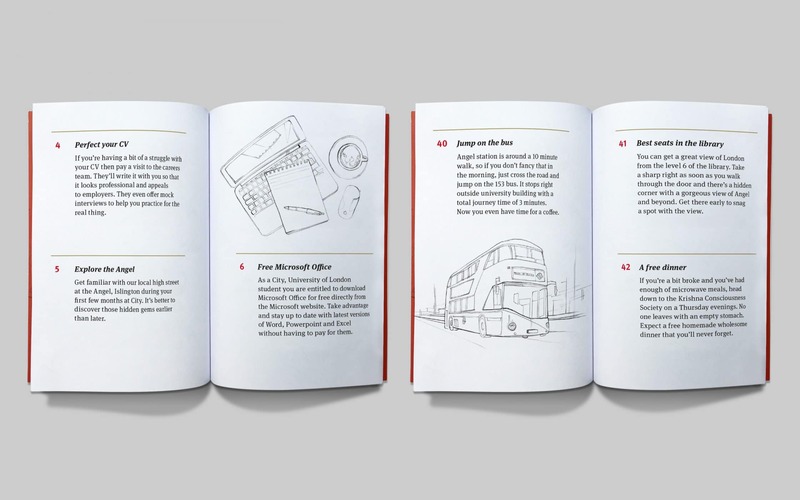 Fabrik’s brief was to create something engaging, that extended beyond the traditional, and somewhere tired, welcome pack. 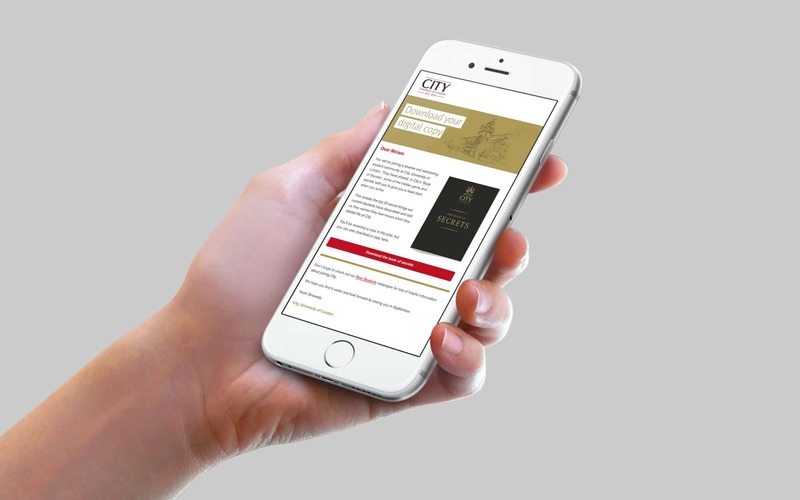 So, we set about developing a communications piece with retention value, that demonstrated just how much City University values its students. Results day is a watershed moment. It’s life-changing for students up and down the country. We felt students securing a place at City deserved more than just a ‘well done’ letter. With the cost of a degree now equivalent to buying a luxury car, this was an opportunity to remind students they’d made the right choice, and to see the value in their decision. A ‘throwaway’ gift wasn’t enough. If there’s one thing more valuable than a gift, it’s knowledge. Our concept was based around providing undergraduates with enticing, useful and appropriate knowledge, crucial to this exciting new chapter in their lives. But, this had to be knowledge they wouldn’t find elsewhere, that would provide benefit from day one. We consulted the experts… What better way to get that information than to ask existing students? 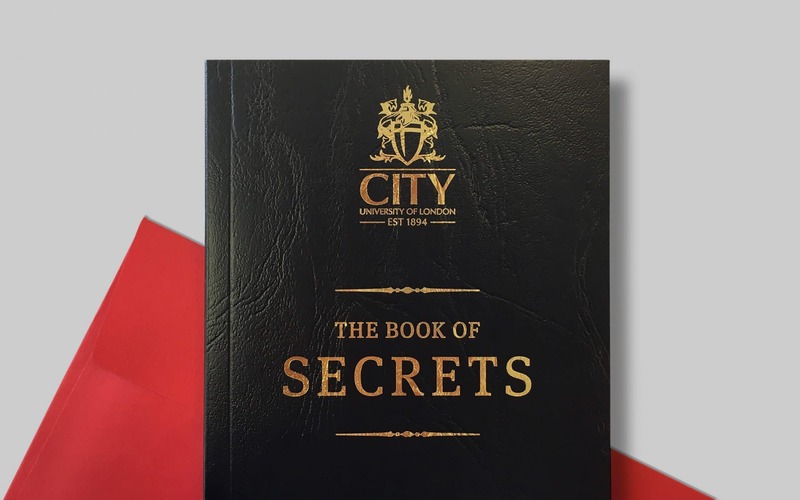 Armed with a range of useful tips and ideas, we designed the City ‘Book of Secrets’ – a collection of the most useful ‘secrets’ that students discovered during the course of their studies. The range of ideas were both interesting and enlightening. They included the best places to relax and unwind, where to get a free coffee, the best – and most affordable – food, short-cuts around the University, where to get free software and how to earn extra money while studying. These were collated in an A6 book, using embossing and foil blocking to reflect the authentic ‘secrets’ feel. Such high production standards provided genuine retention value. The document was mailed to students around A-level results day, when places were being offered. International students were sent bespoke emails, with links to download an electronic version of the Book, so they wouldn’t miss out. Early feedback has been positive, with students talking about the Book during phone calls. Even current students have been keen to get their hands on a copy! Both open and click through rates for the e-mailer delivered much higher results than previous benchmarks. The packs have been really well received, we’ve had some great feedback through phone calls from new students. Feedback from staff has been positive, and current students who have seen it or heard about it have all been keen to get their hands on their own copy. In addition, open and click through rates look to be much higher than our usual benchmark so it’s definitely been received well.